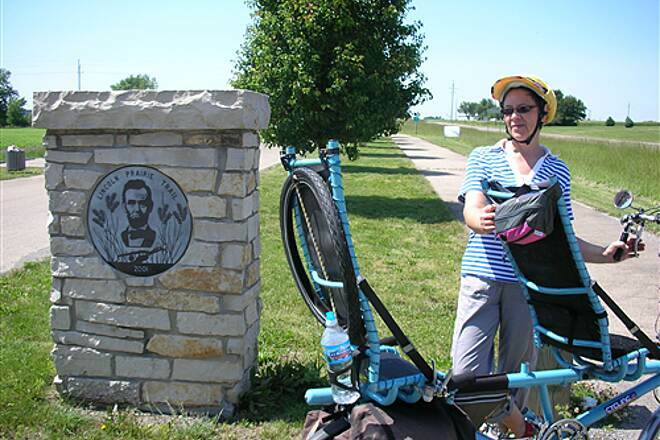 While you’re in the land of Lincoln, visit the Lincoln Prairie Trail to make the trip complete. Starting at the trailhead in northwest Pana, leisurely stroll along a paved trail that is nicely separated from the rural highway. The route offers a fairly flat and straight shot to Taylorville with a combination of tree-canopied sections and more open areas. 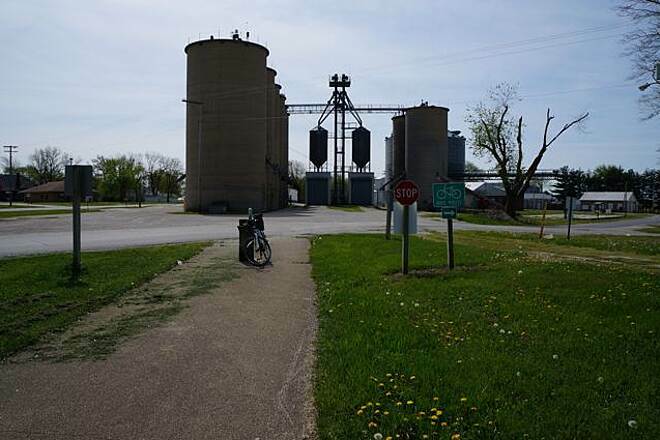 The trail skirts several active silos via on-road routes as it passes through Millersville and Owaneco, but these short diversions are well marked and located on very lightly traveled small-town roads. 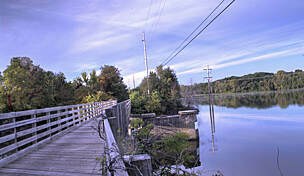 The trail is well woven into the local communities and surrounded by the region’s many farms. Depending on the time of year, you can find corn, soybean, and sunflower fields for many miles. 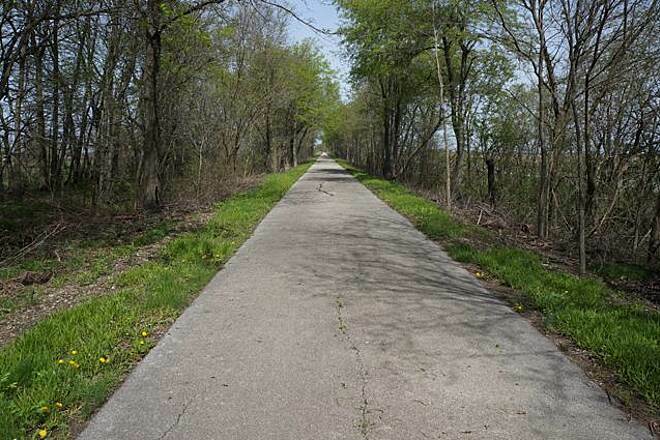 One trail highlight is the stretch along Lake Taylorville and the South Fork Sangamon River on the north end of the route. At the time of this writing, the bridge over Flat Branch was closed; however, this closure doesn’t detract too much from the end-to-end experience. As you approach Taylorville, the development patterns become more suburban, and the trail ends unceremoniously at South Paw Paw Street. The City of Pana owns the trail. 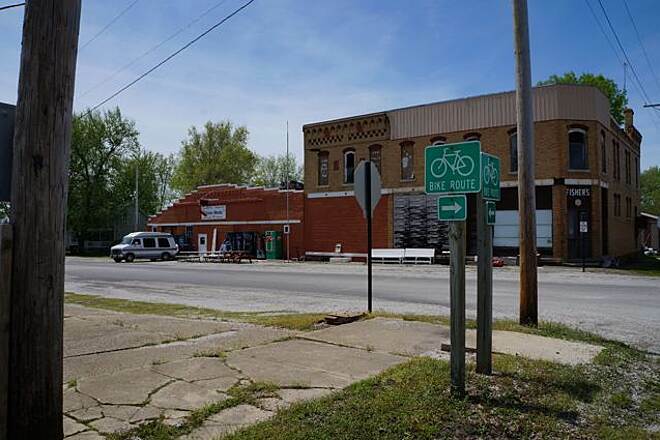 Upon completion of the new bridge over the Flat Branch (expected in 2019), the City of Taylorville will own the portion from Paw Paw Street to the Owaneco city limits. 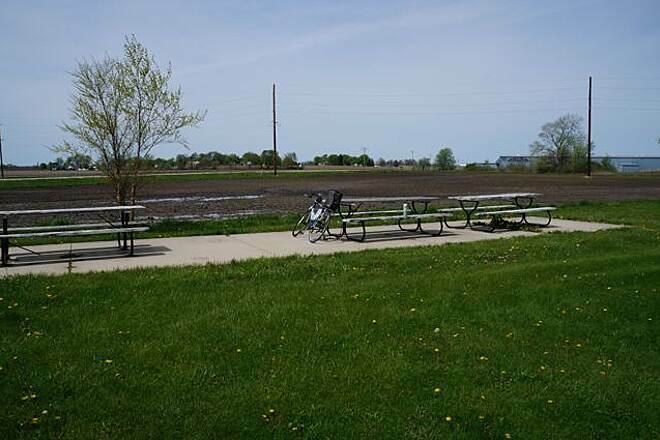 Volunteers from the Lincoln Prairie Trails Conservancy have been making asphalt repairs, trimming & mowing where needed, promoting trail use and expansion, and working to improve the overall trail experience. 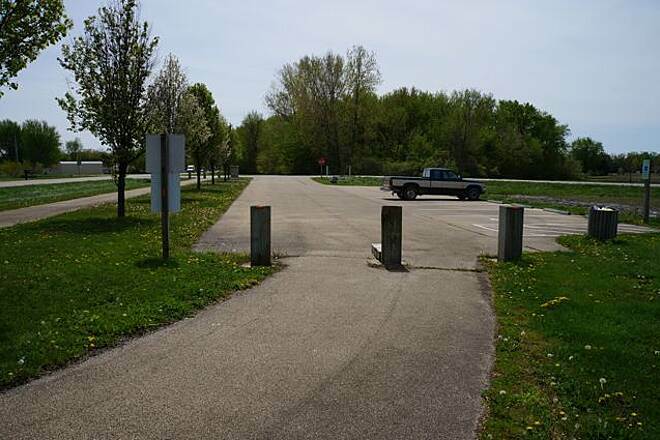 Parking can be found at the southeastern end of the trail in Pana. From I-70, take Exit 63 for US 51. Head north on US 51 for 29.6 miles. As US 51 N approaches Pana, it becomes Fair Ave. and then Poplar St. Near the center of town, Poplar St. intersects with Washington St.; turn left onto Washington, which is also IL 29. Follow Washington west and then northwest as the road curves 1.1 miles to E. 350 North Road; the trailhead parking lot is located on your left at this intersection. 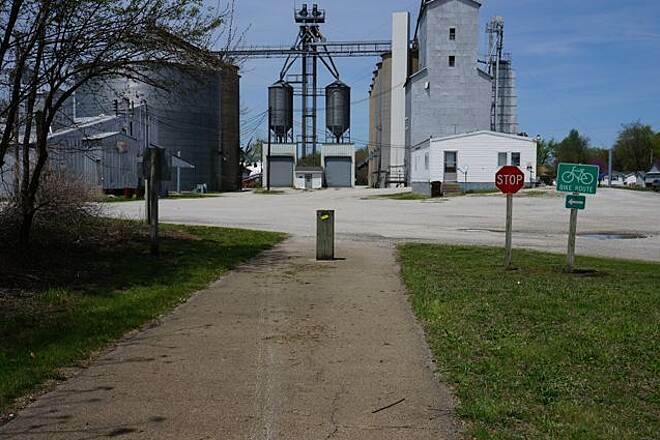 On the other end of the trail, parking is available in Taylorville. Follow the directions above to IL 29/Washington St. Turn left onto IL 29, and go 15.4 miles. 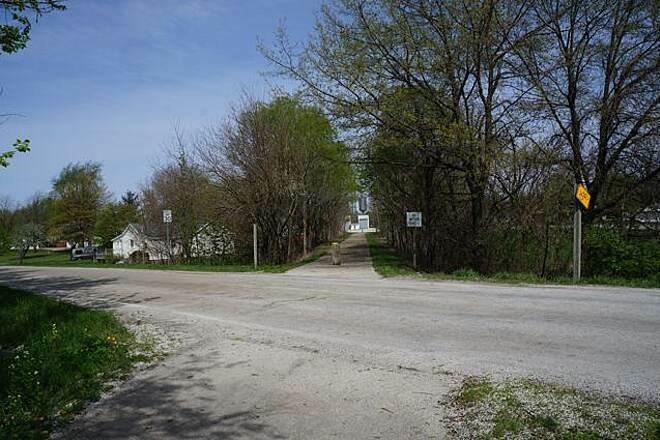 Just after passing IL 48 in Taylorville, turn left onto E. Main Cross St. Go 0.4 mile to S. Paw Paw St., and turn left; in about 280 feet you will see the trail and the unpaved parking area on your left. On 5-3-14 My Son had to take a State Of Illinois Firearm Training class. 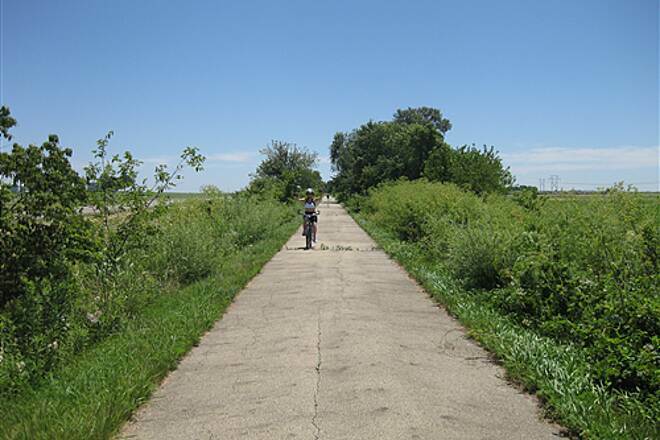 Before we drove up to Taylorville, I researched the area for PAVED trails. 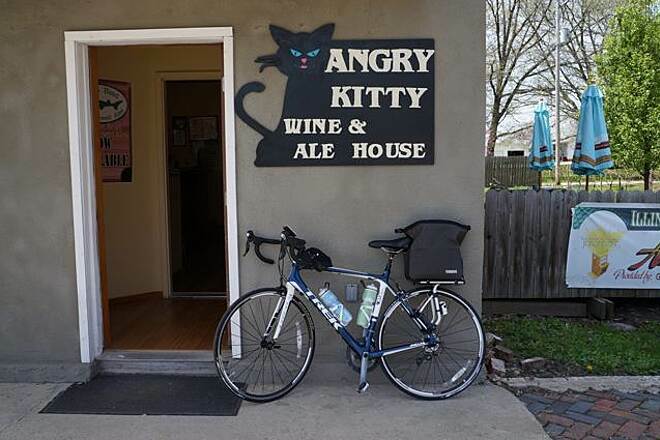 I was Pleased to find a paved trail up that way. 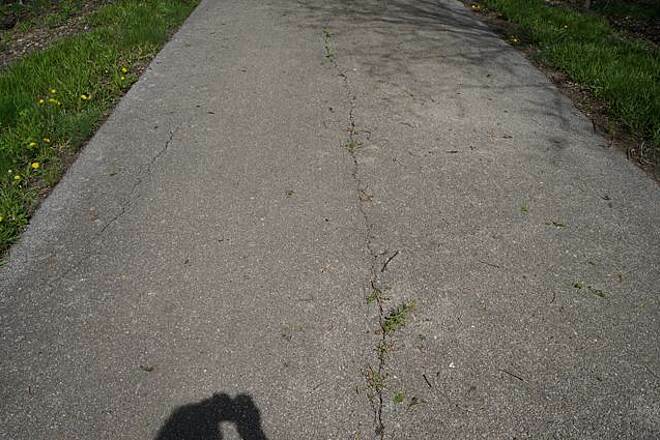 After reviewing some of the posts I read on this site, I was concerned about the condition of the pavement. 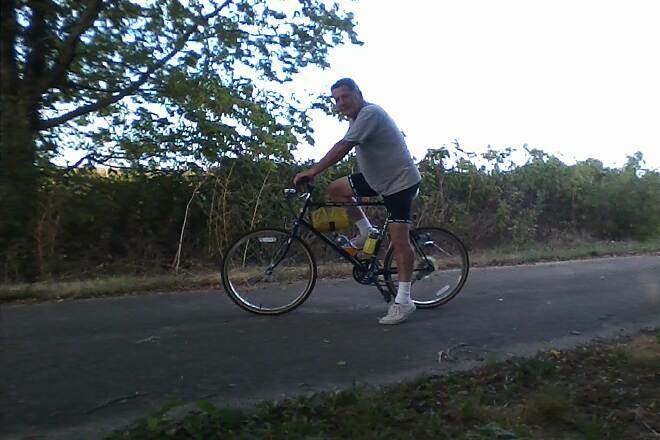 I am from Madison County, IL & we have very well maintained paved trails. Per my Garmin, from Taylorville to Pana & back was 29.1 miles. I found South of Owaneco to Pana boring & not the most exciting part of the ride. That said, if your wanting a shorter ride, do Taylorville to Owaneco & back. Parking was OK in Taylorville, But much better in Pana. I parked in Taylorville, my truck was fine once I arrived back. The trail descends from Taylorville to Pana. From Pana to Taylorville my speed dropped. All in all it was a great ride. 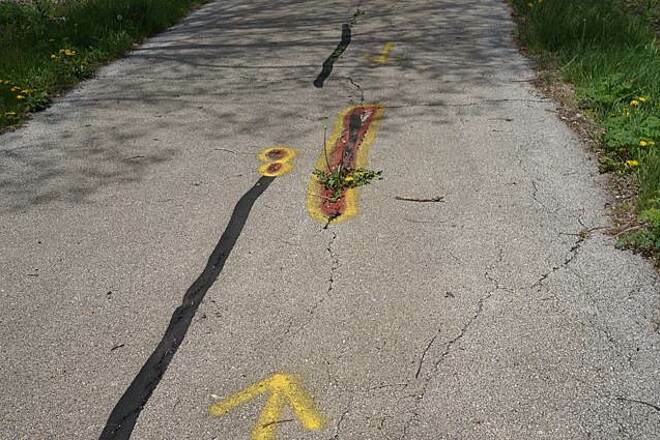 Thanks to whom ever was responsible for the construction of this trail. If I am ever in the area again, I will ride this trail, there is Nothing wrong with it. I started riding a little over a year ago and having this wonderful trail less than a mile from my back door is certainly a big plus. I have logged over 3,000 miles on it. Most of the first five miles (from Taylorville)is heavily wooded, followed by a one mile stretch having a total of one large tree, then back into the woods for 3/4 mile and into Owaneco. From there to Millersville (2-3 miles)it's intermittent woods and open areas. The pavement ends for +/- 250 yards and then there's wide, smooth concrete through the rest of Millersville. 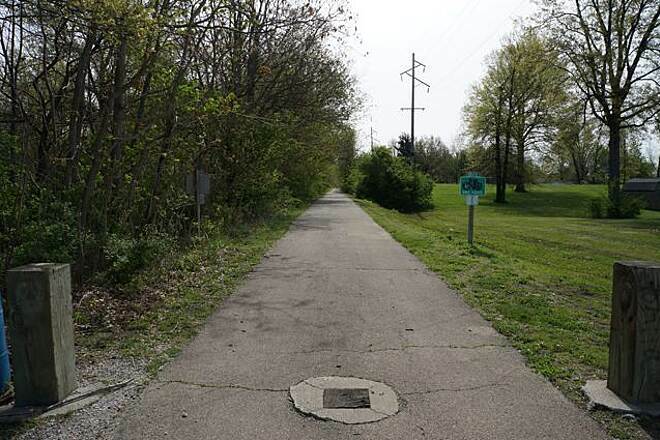 If you like to go fast, this is your best opportunity on the trail as there's a +/- 20 foot drop from the township road intersection to the South end of the FS plant. I've attained nearly 30mph there on my hybrid(with a tailwind), so you "roadies" could likely go pretty fast. Be careful, though; there's a jog to the right at the bottom and then the trail regains most of that "altitude" in less than 100 yards. From there, there are gradual ups and downs, and rotating woods and open areas for about 4 3/4 miles to the Pana trailhead. The amazing thing about this trail is that, at least for me, no two rides have ever been the same. Varying weather conditions and wildlife around the trail make it a new adventure every time. 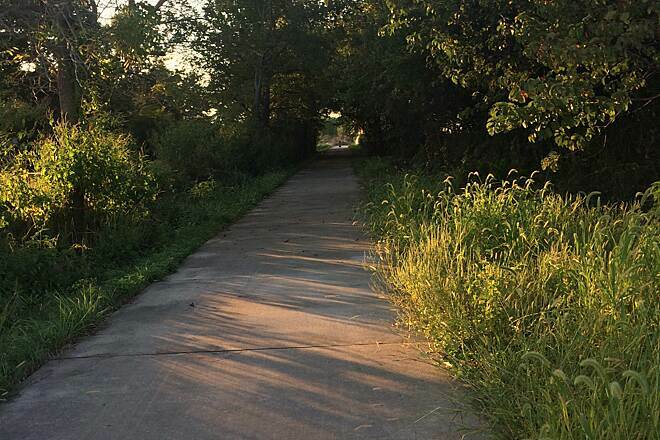 If you're in the area, you're missing a great ride if you don't try the Lincoln Prairie Trail. 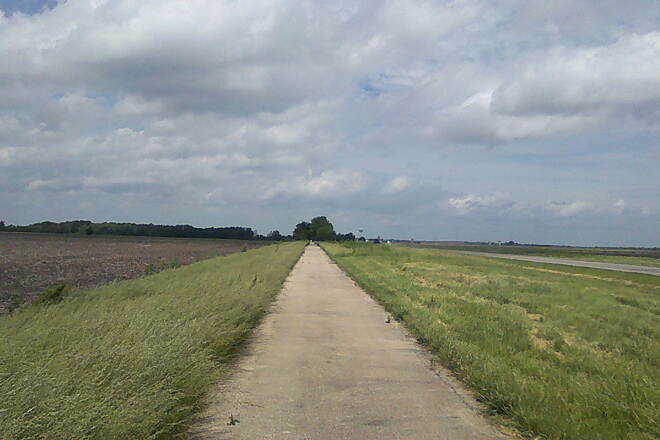 I rode this trail from Pana to Taylorville. Total round trip was 30 miles (by my odometer) and it took about 3 hours of pedal time. The surface was paved and all hazardous bumps were marked with white paint. There was no debris on the trail except some twigs and maple seed pods that you would expect in a natural area. The trees that bordered most of the trail would be wonderful on a hot day, and were quite welcome as some protection from the rain that followed us all the way. The paved surface was a luxury in the rain. We appreciated the metal shelter about halfway on the trail in one of the little towns on the trail. A brief break from the rain was so very welcome. We saw plenty of wildlife and literally "smelled the flowers". 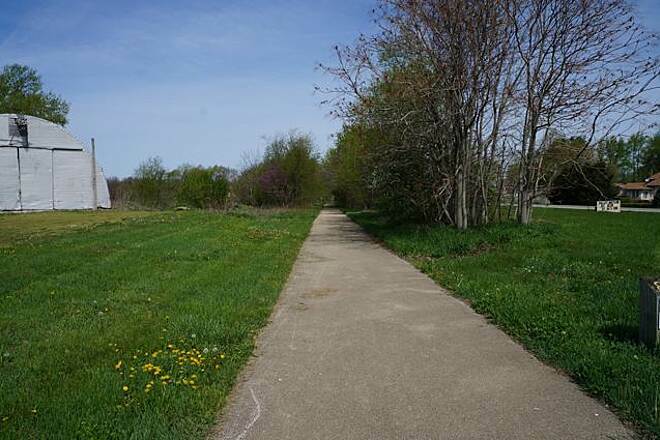 Trail is mostly bordered with trees and wildflowers with a few open stretches. The rain made everything look so lush, fresh, and clean! 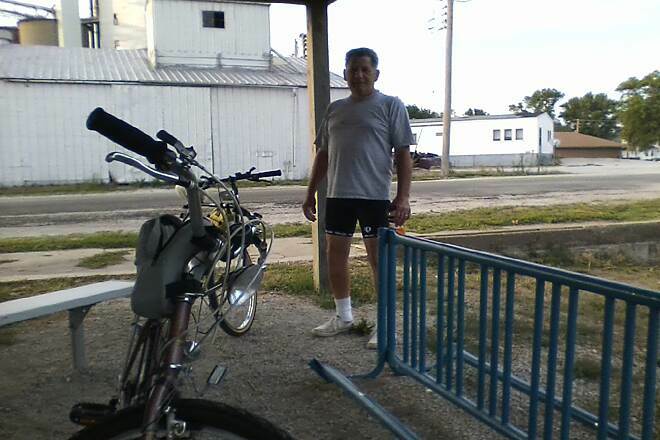 We rode into Taylorville for lunch and then back to the parking lot in Pana. We saw one walker and one bike rider total. Solitude! I am amazed that such a small community has been able to build and maintain a trail of such length. Much larger cities, my home included, have failed to provide such an opportunity. We took bags and would have picked up litter, but there was NO litter on the trail anyplace. I'm sure this is thanks to many volunteers who work hard to keep it ready for people like me to ride...FOR FREE! Thank you for your work! My wife and I rode the length of this trail from Pana to Taylorville and back. There are a couple of places the trail diverts on roads through towns along the way (Millersville for one) so you have to pay attention to the signs. The trail is in relatively good shape. 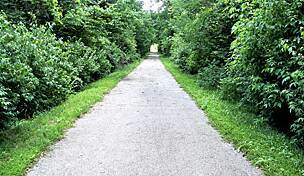 Considering the trail is subject to the freezing and thawing effects of the Central Illinois winter I would consider it a fairly well-maintained trail. When we were there the rough patches had been marked with spray paint. All in all a very good ride and well worth doing. I've seen some criticisms of the trail. 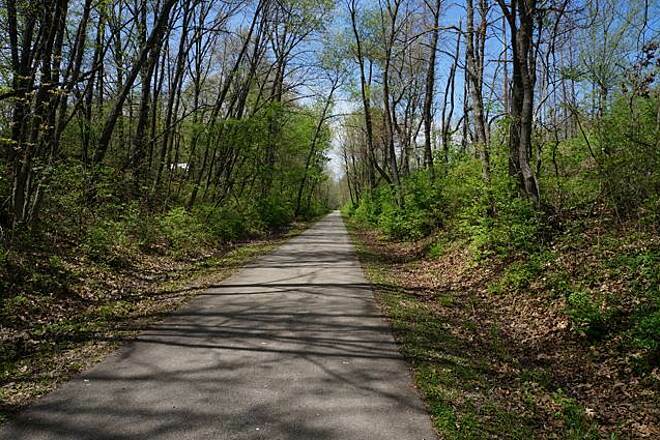 Like all rail-trails, this one relies on users and volunteers to help maintain it; there's no full-time maintenance crew. Therefore, one may encounter sticks, nuts, berries, etc. on the trail. 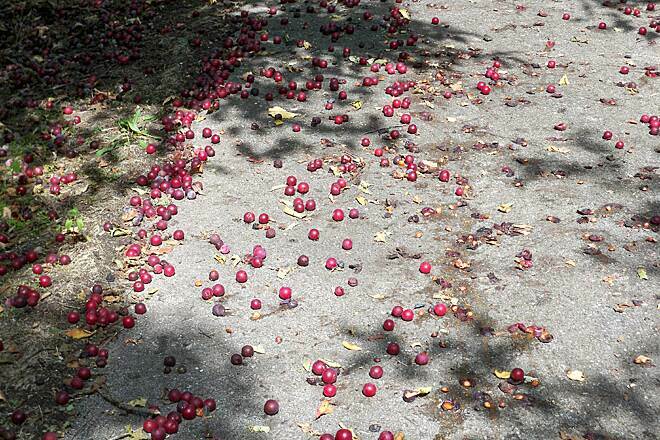 Remember, you're on a nature trail, so some debris is to be expected. Also, please remember that wildlife does use this trail and one may encounter animal droppings. I've seen foxes, deer, coyotes, raccoons, opossums, birds, ground hogs, chipmunks, snakes, toads, turtles, felines, and canines on this trail. 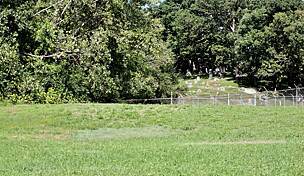 As for the dead animal, the trail parallels the highway and there is the possibility that an animal that has been struck by a vehicle may wander onto the trail and expire. We do our best to keep up on things, though. There is some pavement degradation, in some areas (mainly the bridges), and we've tried to mark them all. The municipalities are aware of them and are devising plans to address them. Like all levels of government, funding is an issue. 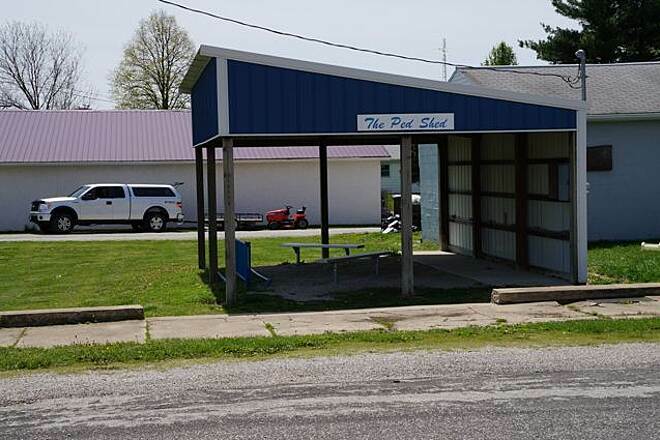 There are vending machines at Lake Taylorville Marina (restrooms, too), Kiwanis Park (straight south of the lake parking area-restrooms, too), Fisher's Packing Plant (on Main Street in Owaneco), and in town at either end of the trail. This trail came about because of a local grassroots effort to make it happen. We're doing our best to maintain and offer a trail that is worth experiencing. 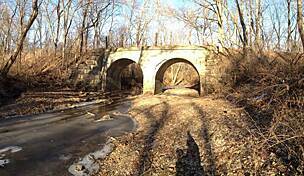 Please, don't let the negatives of the minority taint your curiosity about this rail-trail. Come see for yourself. Yesterday the wife and I rode the entire trail on our tandem trike. 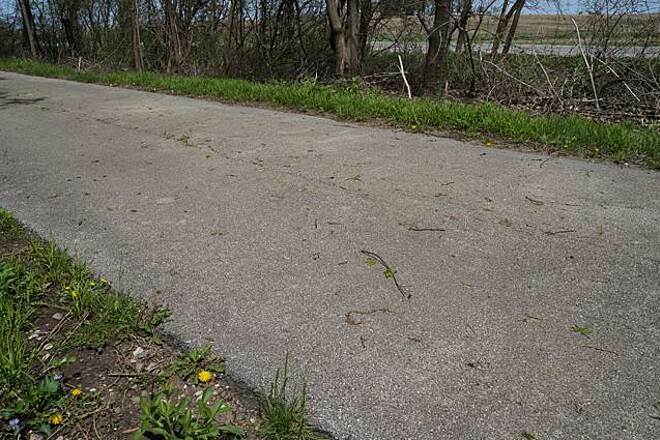 The asphalt trail surface itself is in good condition, but there are spots that could really use some clean up: thick cover of leaves and twigs, clumps of grass growing up in cracks, weed and brush encroachment on sides; even spoke-bending walnuts and messy wild cherries. We found great parking in the lot at Taylorville Lake. There at Kiwanis Park there are nice restrooms; and both the small towns on the trail have grain elevator offices where one can make an emergency stop. 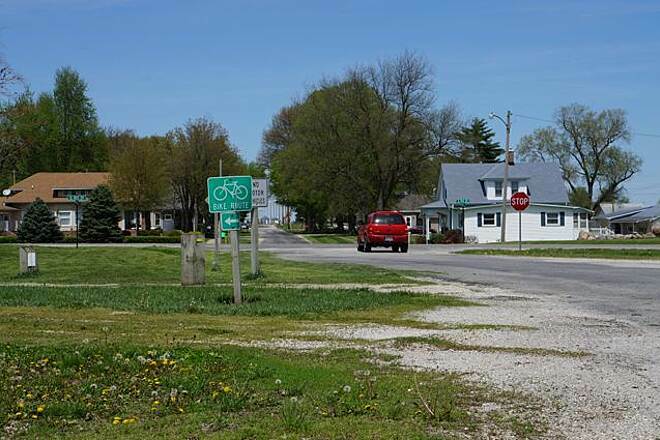 At the Pana trail end, you can avoid the heavy traffic of going into town on Route 29 by crossing it immediately onto city streets, there at the CR 12 intersection. My husband and I were on the trail in the spring of this year. We were on it twice last year. We like it. 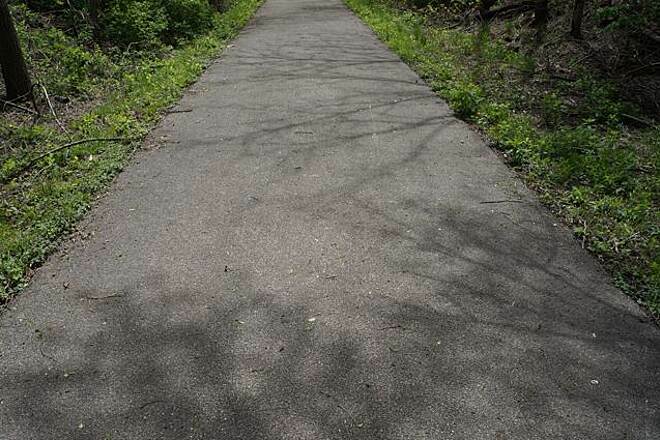 Yes, mowed grass and some twigs were on parts of the trail, but compared to some truely neglected trails in Illinois, (Parts of the I&M Canal Trail) this one is fine. The surface is still in ok shape (It is not new.) The worst problem we saw was dog poop. New benches are in place about every two miles starting in Pana. That is a nice touch for those of us over age 65. We never see but one or two others on the trail. Not unusual when you consider it is not in a highly populated area. 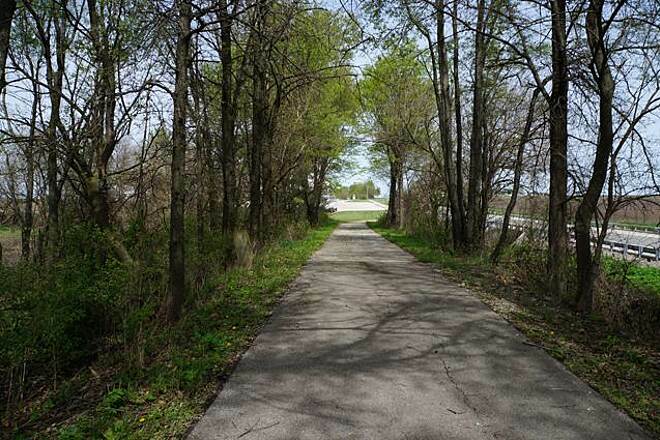 We have a home in Mattoon and ride this trail sometimes because we prefer paved to the cruched limestone trail of the Mattoon-Charleston area. There is no water and no rest roomon the Pana section. We have never ridden all the way to Taylorville. My wife and I love this trail. 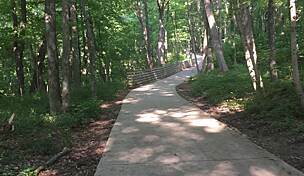 As a local (Owaneco)resident we walk and ride this trail frequently. For a small community with a small budget it in fantastic shape. Unknown to alot of people it is mostly kept up by those who use it. As frequent walkers we will carry pruners and trim when needed. We have seen alot of workers when we are out and about on this trail. Some with chainsaws, mowers, etc to keep the trail looking great. We cant always get every stick,branch nor dead animal off the trail.....it is out in nature and nature is still king on this trail. So in response to the rider who didnt care much for it, thats ok, not everyone will....but , if you see a big fallen branch/stick, I guess common sense would say to stop and pick it up so the next person doesnt hit it. We came from Melbourne, Australia to sample a few cycling rail trails. 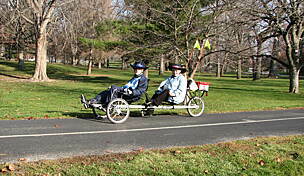 We brought our tandem recumbent with us. 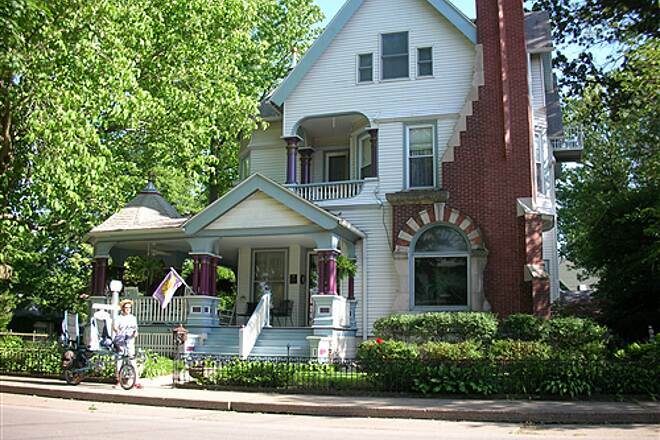 We stayed for two nights in Taylroville Market St. B&B. Myrna the host was very hospitable. She offered us information and map of the Trail and even had bicycle for rental. We started from the B&B along local streets and onto the Trail. The May, 2012 day was hot and sunny but the Trail was shady and green. The surface was smooth and the ride was very pleasant. We cycled to Pana and back. A pity the Trail ended abruptly just before Pana and we had to cycled on very busy road to town for lunch. 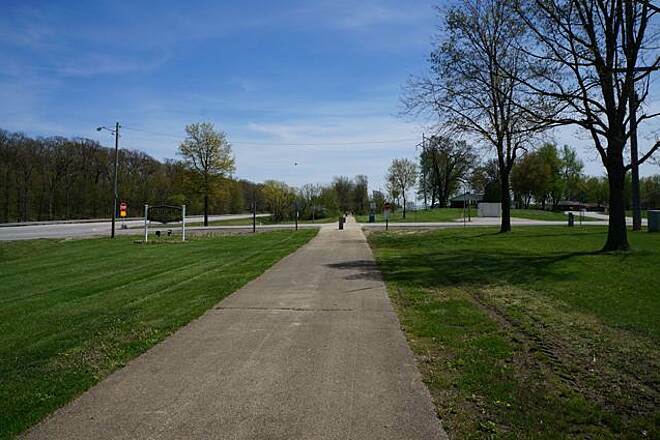 The Trail could be extended at least with line on the road as there is a nice park just beyond the shopping center. We enjoyed the experience and leave some photos of the Trail for posterity. We drove next to Maddison County rail trails on hwy 55. 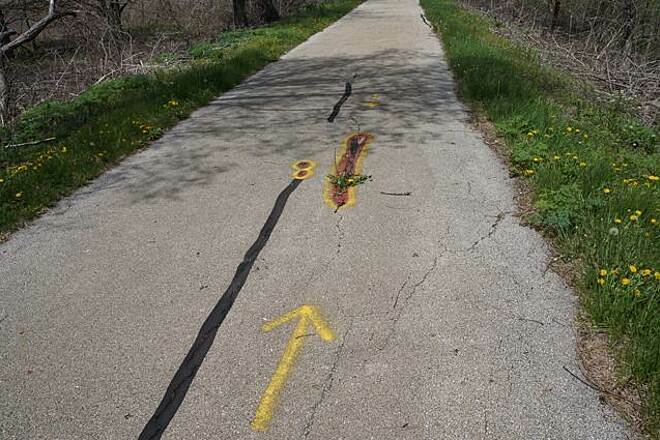 As a cyclist who grew up in central Illinois, developing an interest in this activity in recent years, I was EXTREMELY "let down" by my experience on this trail. 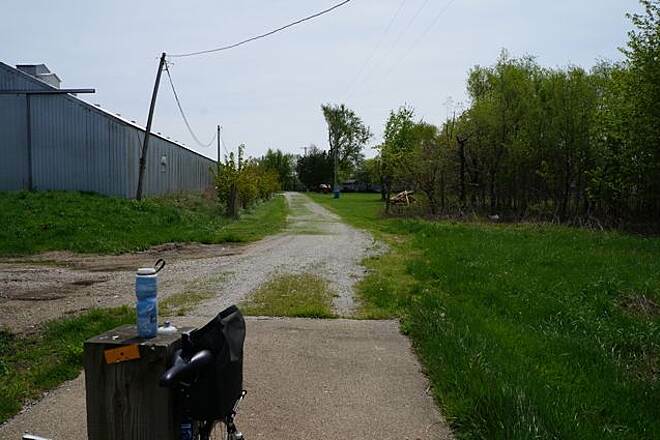 My wife and I rode from Pana to just south of Taylorville, and back, and found this to be the worst paved trail that we have encountered! 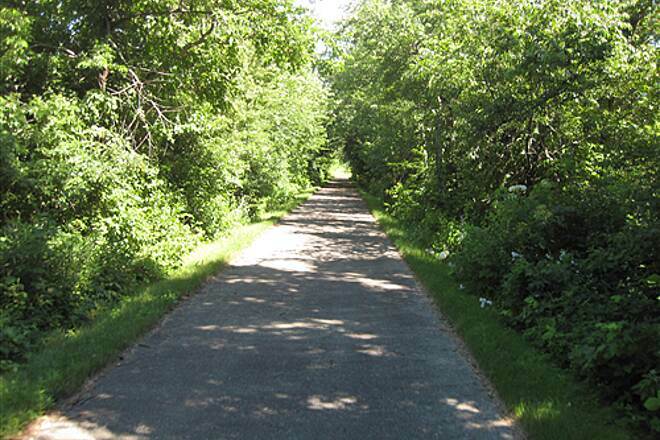 Our experiences have included trails in Wisconsin, Illinois, Iowa, and several in Florida. Within 100 yards of the Pana trailhead we encountered freshly mown grass and a very large number of small limbs thrown onto the trail by the mower. This continued for a mile or two. We continued to find limbs as large as an inch and a half in diameter lying on the trail for the remainder of our ride. We also noticed a dead animal on the trail some three miles out. 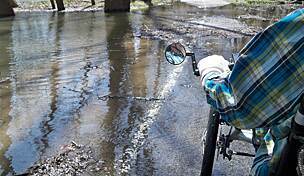 We continued to dodge these obstacles for several miles until we had had enough and gave up some ten miles out! We will never ride this trail again, and our advice to others is to totally avoid this trail. It is not worth throwing your wheels out of true and dodging tree limbs , sticks, and dead animals. 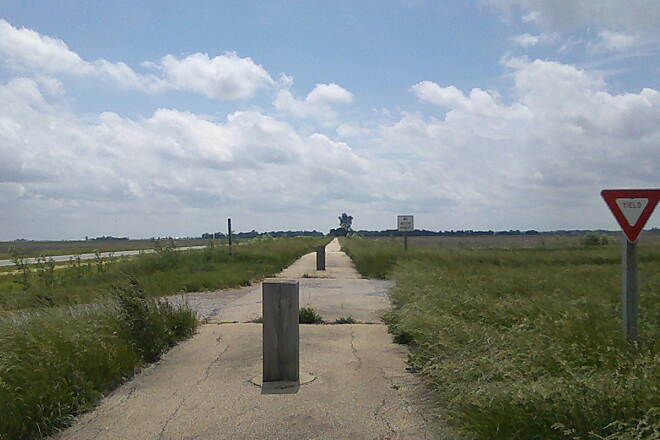 Since there are few paved trails of any length in central Illinois, it is unfortunate this one is in such poor shape! Save yourself the aggravation and go somewhere else. You will be much happier! six of us took 3 tandems on the trail the 26th of august. really enjoyed the scenery and the level terrain. one of the cleanest trails we have ridden but it does need bathrooms at one end but we did ride into town for a bite and they had facilities there. we would certainly ride it again. we drove over 400 miles to ride the trails in ill. and it was worth every minute of it !!!! To make this ride we traveled from Edwardsville to Pana and on to Taylorville. We had gotten conflicting reports on this trail but we can attest to the fact that it was most enjoyable. Friendly people, lots of prairie, and beautifull flowers all along the trial. You must keep in mind that we do not race our trikes, we ride our trikes and smell the flowers. Who ever were the promoters of this trail did a great job and we say thank you. Hopefully, this trail is extended in both directions. We really like how Pana has promoted this trail. 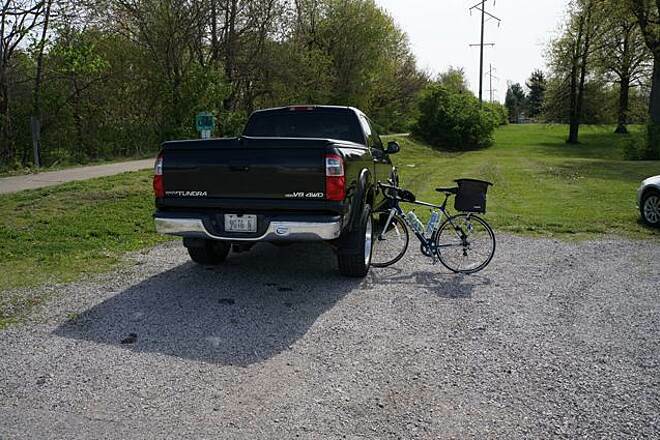 We parked at the Taylorville Lake lot to start our ride but the end of the trail is actually two miles further into Tayloville but no signage. 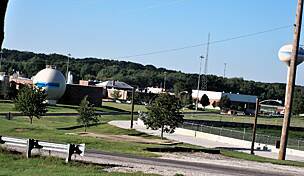 As an asset for Taylorville, young and old were walking or riding from various area subdivisions or from Taylorville to the Lake area. Safe and accessible. Now that's what I am talking about! 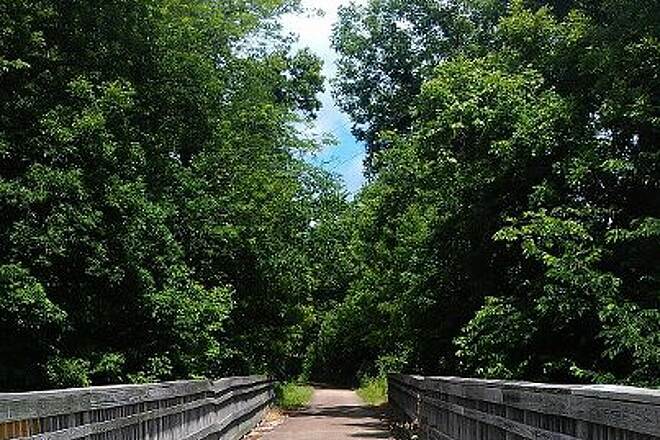 Have a great day and support this trail by letting you city, county, state, and federal officials know how you feel about this and other rails-to-trails. 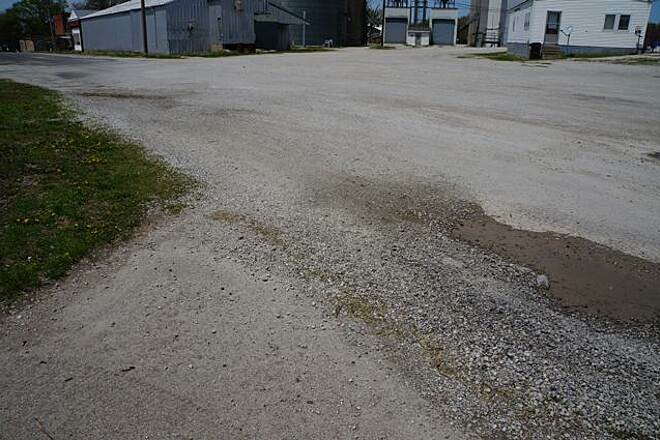 "One person says no place in Taylorville to park. I've parked there and rode to Pana before, And the one saying no water fountains, heck take a couple water bottles. It's only around 29 miles round trip. I have no trouble with water. Now when and if they do the rest of it, between Taylorville and Rochester, which will make it around 40 or so miles one way, then worry. 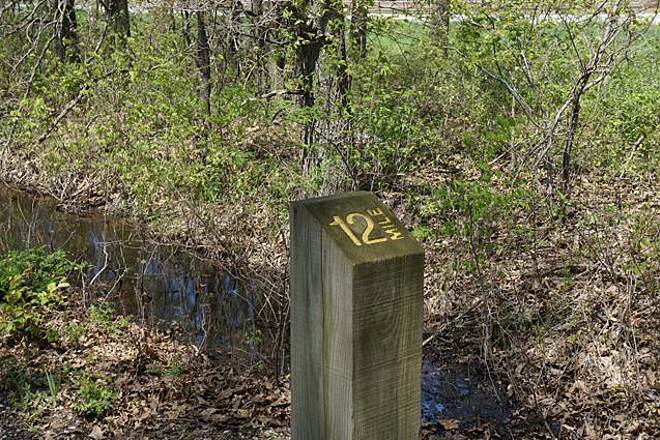 "I couldn't find any water fountains along this trail. Any hints? Otherwise, a nice, surprisingly well-kept trail running through rural Midwestern country. Trails like this make me appreciate living here. Watch out for the Farm Supply set of anhydrous ammonia tanks near Millersville; twice I have biked by and they have been leaking!!" "I live in Lincoln. And I saw the ones doing the trail. I had my moutain bike with me and watched them put the stuff down for a few miles,and then followed them on my bike on the trail. Hope they do the rest between Taylorville and Rochester. Some of where the B&O R.R. ran, whice was suppose to be part of the tail, is or was suppose to be part of hi. 29. Heck, the tracks were pulled up back in 89. I seen then pull up some of it. 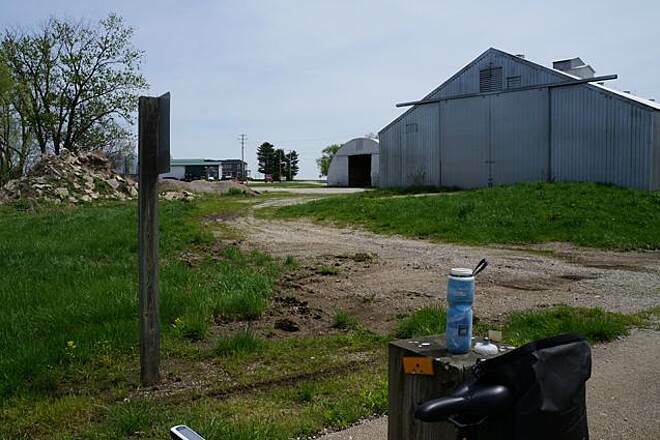 "Not a bad trail, beware of the section around mile 9 (from Taylorville) where you suddenly find yourself on deep gravel without any warning." "I rode this trail a few days ago. 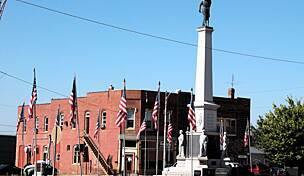 I started in Taylorville, which brings me to my first complaint. Why the city of Taylorville decide that they didn't need car parking at the beginning of the trail, I will never know. It's totally Ludicrous! 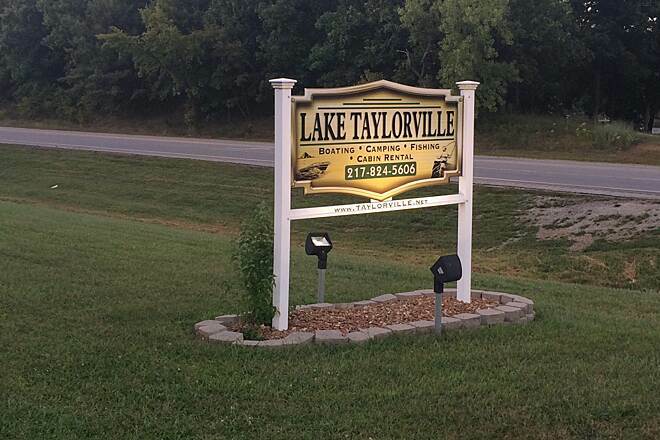 You pretty much have to park at the lot at Lake Taylorville. Thus you miss two miles or so of the trail. With that said, the other end (Pana) was done right. There is a parking area just for cyclists. I loved it! Thanks Pana for doing what T-ville couldn't. Now, as far as the trail goes, it's awesome. It's surfaced with asphalt and is well maintained. The problem is it's 15 miles of straight as an arrow trail. The few roads that you do cross are rural, making them nonfactors. 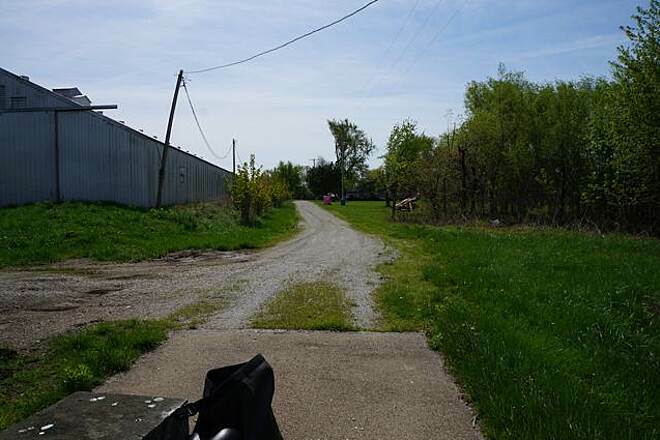 If you're looking for a nice scenic route to enjoy with the family then this trail will somewhat disappoint, what with the sparkling view of the T-ville Correctional Center and farmland. But, as far as hopping on your bike and getting a great workout, then this trail is the ultimate for that purpose. I saw one other person on the trail when I was there. So it's not used much. 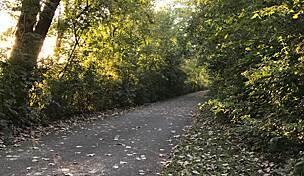 It's definitely a great workout trail." The trail has been completed and you no longer have to take the three-mile detour down the rough country road. It's now a nice 30-mile Saturday morning round-trip ride. 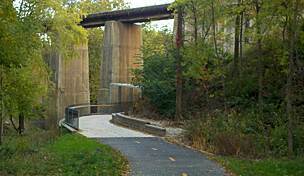 "I had a chance to do the first seven miles of this trail out of Taylorville. It is a great trail, paved and well signed. 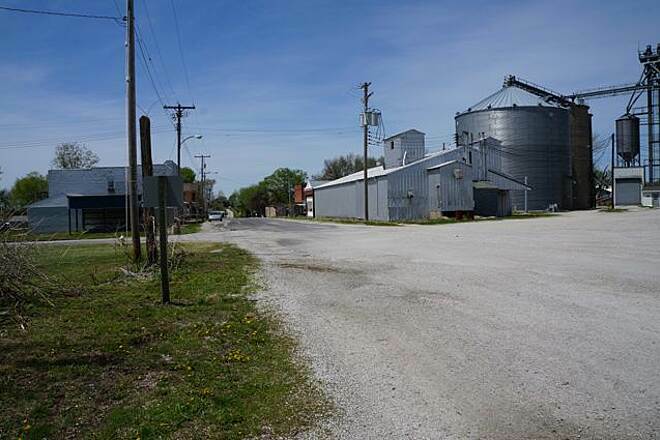 The starting point in Talorville is hard to find but well worth it as you wind through trees for the first three miles before opening out into corn fields." 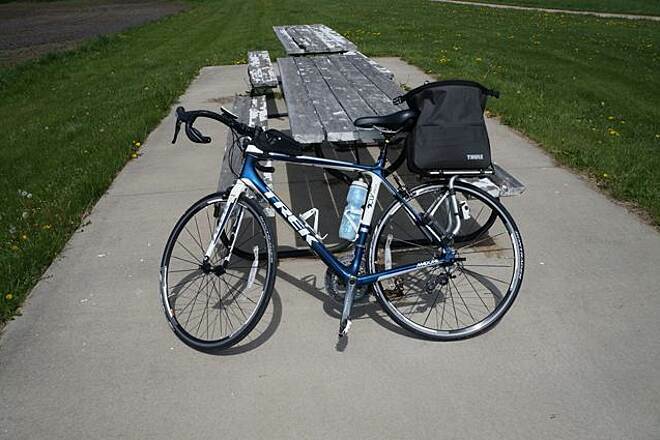 "My 16-year old son and I rode the trail in its entirety by bicycle on Saturday, August 10, 2002. We are from nearby Effingham (45-minutes away by car), so we loaded up our bicycles into a van for the trip to Pana. This trail is located on the northwest side of Pana. We had a little bit of difficulty finding the trail at first. But once we did find it, it was smooth sailing. The asphalt track is in good shape. 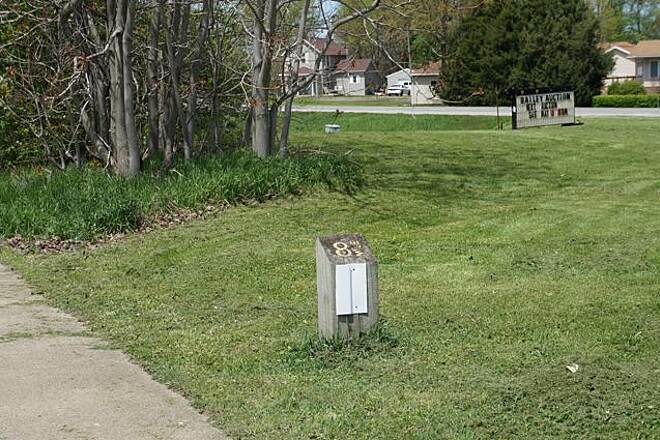 There was one detour area at about the four mile point, but after that the trail is complete. 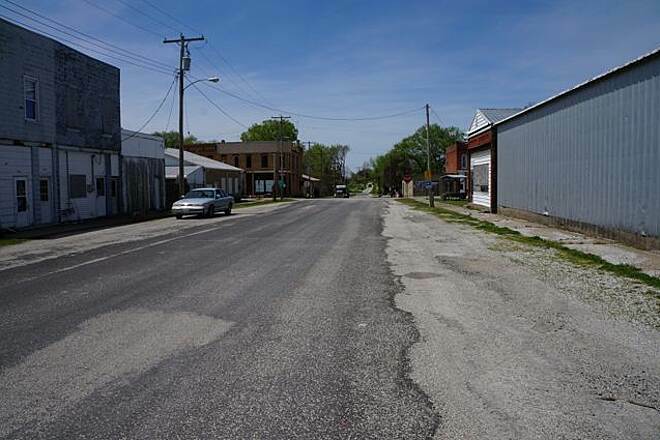 There's not much to see, though, really, until the old town of Owaneco and then the approach to Taylorville, which definitely is more scenic than the Pana portion of the trail. Nonetheless, it's sure nice to see the trail in place. We enjoyed our total 30-mile (round) trip, and we'll definitely be back - perhaps with more family members in tow. Young riders should be cautioned to always stop at the many yield signs on the trail.